Cedar Music Fest will be bringing together local, and bands from the western United States to Cedar City on Sept. 15 for a night of music, art, food, fun and dancing. The party will take place from 6 to 10 p.m. on University Blvd. between Main Street and 100 West. Performing at the first annual Cedar Music Fest will be two bands from Seattle, and two from southern Utah. Bryan John Appleby is a singer/songwriter and composer making his way to Cedar City from Seattle. Following the release of his 2011 debut album Fire on the Vine, he and his band spent time touring with The Head and the Heart’s national tour. His latest album, The Narrow Valley, was released in 2015. Tomten released their first album, Wednesday’s Children, in 2012 and has played in several Pacific Northwest music festivals, including Bumbershoot 2011. Their music is described as baroque/pop, and they also hail from Seattle. Band members Aaron Strawser, Nate Strawser and Tyler Farling hail from Indiana and have been playing music together for several years. 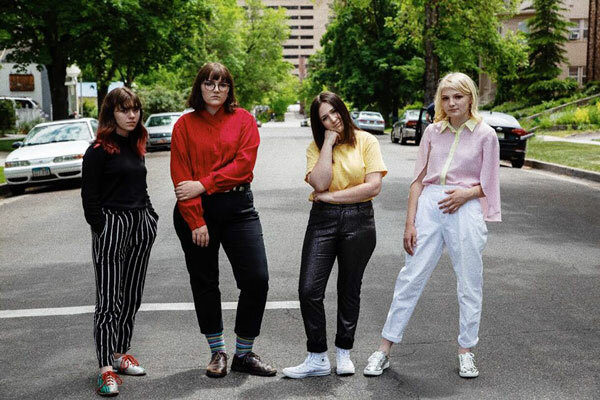 Farling now lives in Cedar City, and combined with drummer Landry Watson, the band released a five-song album titled Where We Left Off showcasing their indie-rock sound. Hailing from St. George, the Halogyns are currently raising funds to produce their first album. Their alternative rock/pop sound contains unique lyrics about life, overcoming depression, love and heartbreak and much more. Cedar Music Fest is a designed to serve as a cultural reflection of the Cedar City community and to increase patronage at downtown businesses. Additionally, the event includes components dedicated to to promoting local artists and performers, drawing tourism, and bringing added culture to the community. Cedar Music Fest is committed to providing an outdoor nightlife option for local residents and tourists. For more information on becoming a sponsor for the first Cedar Music Fest, email event director Jessica Burr at jessicaburr@suu.edu. For more information on becoming a vendor, food truck, or street performer, email Maree Beach at bewise@suu.edu.